Wikileaked: Disparaging cables from the US Embassy in Harare claimed Zimbabwe's Prime Minister, Morgan Tsvangirai supported the maintenance of US economic sanctions against his country. Zimbabwe’s Prime Minister Morgan Tsvangirai is one man who is certainly not amused by the daring exploits of Wikileaks and its swashbuckling founder, Julian Assange. Cables from the American embassy in Harare portray him as a flawed leader in hock to western allies. Tsvangirai is ruthlessly assessed as lacking in executive capabilities and projected as a potential albatross to the country’s economic recovery should he deliver a new government and stay on as its leader. The MDC is unflatteringly described as lacking executive experience and leadership talent and ‘will require massive hand holding and assistance should they ever come to power’. Staggered by the politically damaging leaks from the whistle-blowing website over the last few weeks, Tsvangirai and his MDC party went into the festive season in restive spirits. The new year is not expected to assuage the former opposition party’s fears, for Wikileaks still has in its vaults a batch of more than a thousand unreleased secret and classified documents originating from the US mission in Harare. The absence of a coherent response from Tsvangirai or his party suggests that they have been strategically unmoored by the leaks. In the most politically costly revelation for the MDC so far, the US ambassador in Harare Charles Ray Harare suggested that Tsvangirai was duplicitously calling for the lifting of western sanctions on Zimbabwe whilst privately urging the Americans to keep them in force. Writing to Washington on 24 December, 2009, Ray said that Tsvangirai had ‘acknowledged that his public statements calling for easing of sanctions versus his private conversations saying they must be kept in place have caused problems’. The cable claims that according to Tsvangirai, ZANU PF was demanding the removal of sanctions before they could appoint MDC officials to public office. 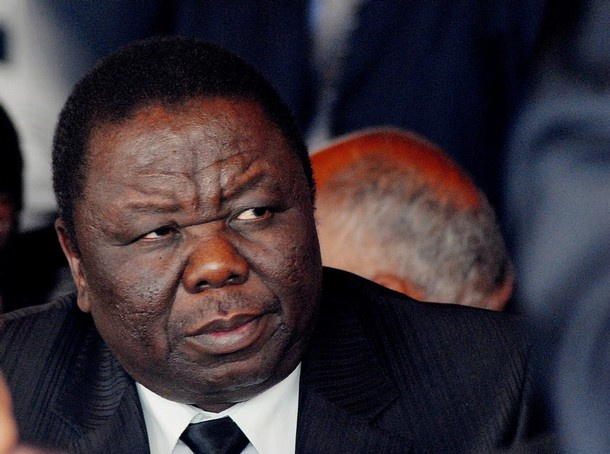 Tsvangirai was worried that the ‘lack of any flexibility on the issue of sanctions’ by western governments posed a problem for him and his party. He asked the west to give ‘modest rewards’ for the ‘modest’ political reforms which the inclusive government had implemented. When they signed the power-sharing agreement in September 2008, ZANU PF and the two MDC formations also pledged to work together to re-engage the international community and get sanctions against the country revoked. Apart from the European Union’s sanctions on some government parastatals, and an asset freeze and travel restrictions targeted at Mugabe and his coterie, the most damaging raft of measures relate to US-imposed sanctions. 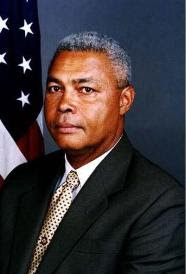 The enactment of the Zimbabwe Democracy and Economic Recovery Act by the US Congress in 2001 outlawed Zimbabwe's right to access credit from International Financial Institutions in which the US Government is represented or has a stake. Zimbabwe has had its voting and related rights as well as balance of payment support from the International Monetary Fund suspended. It is also barred from accessing grants and infrastructural development support from the World Bank. But for nearly a decade now, western governments and media have consistently maintained that the only sanctions in force are those targeted at Mugabe and scores of his lieutenants. The revelations of the MDC’s double-speak on the removal of sanctions will have disappointed Southern African leaders and compromised Tsvangirai’s marginally improved standing in their eyes. In a region dominated by governments led by former national liberation movements whose default approach to international relations is deeply influenced by anti-imperialism, Tsvangirai’s close relationship with western powers has not been exactly popular with the Southern African Development Community (SADC) leaders. As the key guarantors of the power-sharing agreement, the regional leaders resolved to help lobby for the removal of western sanctions on Zimbabwe. In recent months they have stepped up their denunciation of the restrictions as inimical to their efforts in facilitating Zimbabwe’s democratic recovery. 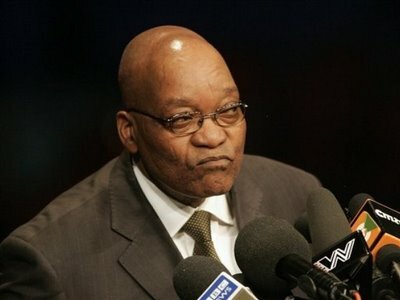 Even Botswana’s President Ian Khama, who has persistently spoken out against the Mugabe regime’s intransigent attitude to reform, has joined the regional chorus for the removal of western sanctions, if only to rob ZANU PF of its specious excuse for holding out on the full implementation of the power-sharing agreement. Both the EU and the US are in agreement on the removal of sanctions and insist that they are needed to keep pressure on Mugabe to live up to his commitments on political and economic reform. However, in response to Tsvangirai’s request for ‘modest rewards’ for the reforms undertaken by the inclusive government so far, the US embassy informed Washington that while it was sceptical of Mugabe’s motives, it needed to respond positively in order to nudge the status quo forward. “We think it might be in USG (US Government) interests to consider some form of incremental easing of non-personal sanctions, provided we see actual implementation of some of these reforms. Post would appreciate Washington's view on what would be acceptable benchmarks, and possible moves on our part. We also request guidance on what to tell Tsvangirai at our next meeting …,” wrote Ray in the December 2009 cable. This treasure trove could not have come at a more auspicious time for ZANU PF, which is apparently riven by factional fighting. Buoyed by what it regarded as incontrovertible evidence of Tsvangirai’s quisling nature and the MDC’s unreadiness to govern, ZANU PF went to its annual conference on December 17 in bullish mood. Mugabe’s party did not seem bothered by the fact that the same Wikileaks cables that had supplied so much grist for its propaganda mill had also alleged massive looting of diamond wealth by Mugabe’s avaricious wife Grace and his military top brass. Addressing hundreds of loyalists at the conference in the eastern city of Mutare who also endorsed him as ZANU PF’s presidential candidate for this year’s elections, Mugabe sought to double Tsvangirai’s woes by calling for the prosecution for treason of people who invited sanctions against the country. Mugabe: "I do not have three cheeks. I turned the other cheek already and now I fight!" I do not have three cheeks. I turned the other cheek already and now I fight.I do not have three cheeks. I turned the other cheek already and now I fight. "It should be treasonous to do so; treasonous to call for sanctions on the people and anyone doing so is inviting punishment . 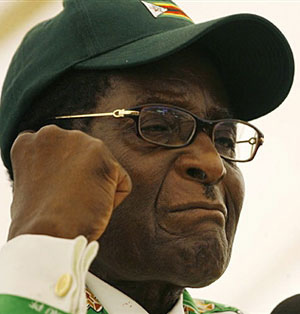 . . we want to have laws to deal with this," Mugabe said. He also threatened ‘meddling’ ambassadors, saying he had given his enemies the biblical “other chick” long enough. “I do not have three cheeks. I turned the other cheek already and now I fight. Those who have a third cheek can turn it,” he said. Ahead of the 2002 presidential elections, Mugabe’s government charged Tsvangirai with treason and made sure to drag out the trial long enough for it to exasperate and exhaust Tsvangirai and bog down his campaign. 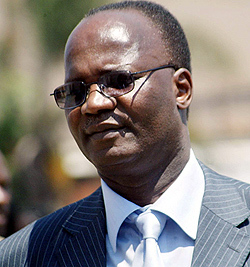 It was Mugabe’s former mouthpiece, Jonathan Moyo, who first cried ‘treason’ against Tsvangirai when the US cables were leaked, and he appears to be the brains behind Mugabe’s pursuit of the treason strategy against Tsvangirai ahead of the proposed general elections. Moyo, who has been readmitted into ZANU PF’s Politburo after spending time in the sin bin following his walkout from the party in 2005, is an indefatigable campaign strategist and a master of the dark political arts. Apart from Tsvangirai, the MDC’s deputy treasurer-general and energy minister, Elton Mangoma, could also be targeted for prosecution. In an October 2009 cable sent from the US embassy in Harare by Katherine Dhanani, Mangoma is said to have asked the US to contribute to a ‘trust fund’ to buy off the service chiefs and move them into retirement. “Reiterating Tsvangirai's views, Mangoma said that a primary obstacle to political progress and reform was the service chiefs. Unlike many ZANU PF insiders who had stolen and invested wisely, these individuals had not become wealthy. They feared economic pressures, as well as prosecution for their misdeeds, should political change result in their being forced from office. Therefore, they were resisting GPA (Global Political Agreement) progress that could ultimately result in fair elections,” Dhanani wrote. She also said Mangoma planned to approach the UK and Germany with the same request. But Mangoma denied ever making the request. There is no doubt that the US cables’ unflattering revelations of the MDC have come as a boon to ZANU PF hardliners. Senior military figures and party elders - among them defence minister Emmerson Mnangagwa and ZANU PF secretary for administration Didymus Mutasa - have been making bellicose statements in recent weeks precluding the transfer of power to Tsvangirai should he win the next election on account of the MDC being a ‘sell-out’ party. The latest leaks will have dangerously boosted their sense of self-righteousness. Liesl Louw-Vaudran of the Institute for Security Studies (ISS), headquartered in Pretoria, South Africa, said the revelations by WikiLeaks had the potential to destabilise Zimbabwe and the region in the coming few months. “We are sitting with a very tense situation, very delicate, where we’ve got a dictator now for the last 25 years here in Africa, absolutely insistent that any opposition to him is being instigated by the West. And now he has that on paper, and that is dangerous,” says Louw-Vaudran. I STOPPED READING WHEN I CAME ACROSS THIS INACCURATE STATEMENT IN YOUR ARTICLE: "The enactment of the Zimbabwe Democracy and Economic Recovery Act by the US Congress in 2001 outlawed Zimbabwe's right to access credit from International Financial Institutions in which the US Government is represented or has a stake. Zimbabwe has had its voting and related rights as well as balance of payment support from the International Monetary Fund suspended. It is also barred from accessing grants and infrastructural development support from the World Bank." WHAT PERCENTAGE VOTING RIGHTS DOES THE U.S. HAVE TO MAKE SUCH SWEEPING LAWS?